I am creating a custom module with a custom database table using the following tutorial. This module is a custom contact form, and I would like the settings for that custom contact form to be on a per store basis, meaning, I want the send from email address to be different for each store I create. Do I need to add specific fields to the database for Magento to pick up on this? Or does Magento do this automagically? You could use the existing behavior of Magento which allows to define and get a contact email address for each store view and depending on the department (sales, customer support, general). 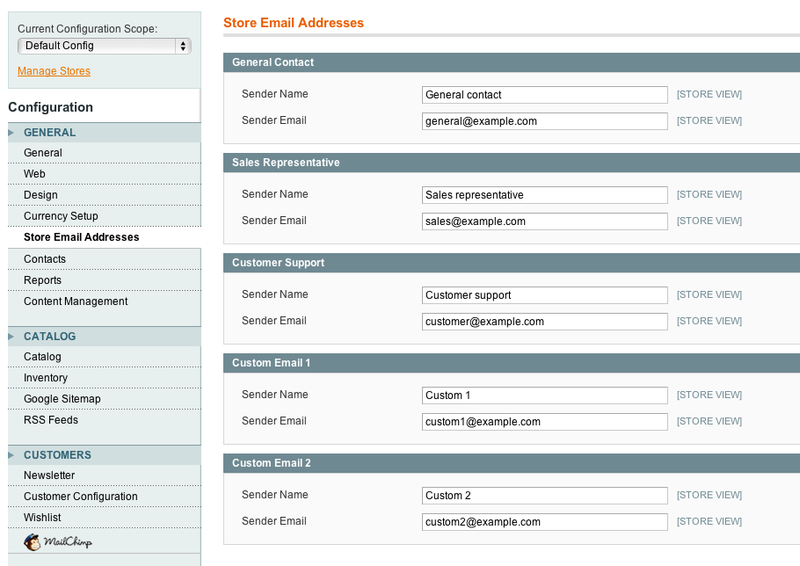 You can then use theses specific contact per store view in your custom module. Magento will add these automagically when you define them in your modules system.xml file. Not the answer you're looking for? Browse other questions tagged module configuration database contact-us or ask your own question. How can I change reply-to email adress of contact form when using transactional email template? Save Magento 1.9.2 contact form data in database? How to store dropdown value in database and display selected when edit item?